You're only as good as the team you're leading. As a business executive or manager, you are extremely busy. Between running the company, developing new products or services, seeking out new customers, and dealing with the financials, you barely have time to eat lunch... never mind worry about your employee's morale. You pay them fairly, offer them good benefits, what more do they need, right? 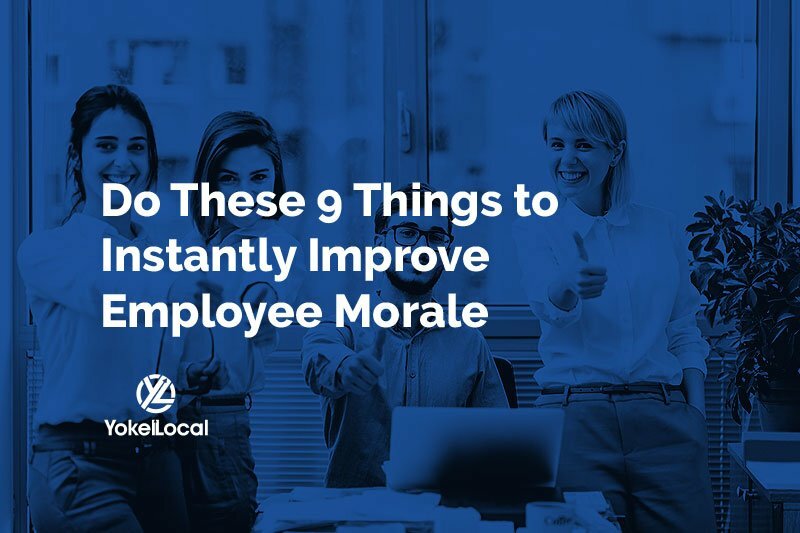 If you'd like to foster loyalty, productivity, and improved sales within your team, employee morale should be an important aspect of your daily routine. When your employees are happy and satisfied with the work they do, they will work harder, do better, and stick around longer. There are a few signs to watch out for that will help you determine if your company is heading in a bad direction. Frequent "sick days": Are your employees calling out more than they used to? This may be a sign that they are burned out and unsatisfied with their jobs and the company. When employees fail to show up, it leads to loss of productivity and revenue. High turnover rates: It's natural for employees to come and go, but when it's often happening, it may be a sign that your staff is running for the hills. Hiring and training new employees is costly and takes energy away from everyone. Poor Customer Service: If you are seeing more customer complaints coming through the pipeline, your staff may be resentful and taking it out on the customers. This is a surefire way to alienate your customer base and lower your bottom line. Conflicts between staff members: If your employees are at each other's throats, there is probably an undercurrent of hostility which will lend itself to increased sick days, high turnover, and poor customer service. All of which, spells disaster for your company. Thankfully, there are ways to improve employee morale and succeed as a business. There are some action items you can implement that you can boost employee morale in your organization. It is rare to find an employee who wants to work the same job for the next 50 years. Most employees want to learn, improve, and move up the ladder. Provide them with the tools to grow, and they will likely reward you with their loyalty. If your employees want to grow, and you want them to continue being your employees, it makes sense that promotions should come from within the company whenever possible. Show your employees that you trust them and respect their ability to step up and excel in a new position. If you want your business to grow and evolve with the changing world, you'll need to encourage employees to think outside the box. Even more importantly, encourage risk and celebrate failure. Failure means they are trying. When your employees feel comfortable coming to you with a problem, they are less likely to take it to coworkers in the break room. Not only should you listen to your employees, but you should also talk to them and let them know what's happening in the company and how it will affect them. There's nothing more frustrating than wanting to excel at your job and not knowing how. Be clear about your expectations and tell employees how to exceed them. Positive reinforcement goes a long way to show your employees that you value them and appreciate the work they do. Offer bonuses for a job well done, give public recognition when they've provided excellent customer service, and compliment them in front of customers and fellow team members. If an employee with a poor attitude and a less than impressive work ethic is allowed to stay in their role at your company, it sends a message to the other employees that you only care about having warm bodies, not good employees. Also, their poor attitude is sure to rub off on the other employees and bring negative energy to the entire team. Not everyone is good at everything, and that's okay! Figure out what your employees excel at, and then put them to work using those skills. Your employees will be happier because they are succeeding, and your business will thrive. Many of your employees are on the front line and have direct contact with your customers or clients. These people hold a treasure trove of knowledge and can help guide policies and products to meet your client's needs better, and outdo the competition. Listen to them, consider their ideas, and if you choose to take them, give that employee the credit they deserve. If you are always conscious of, and continuously working to improve employee morale throughout your company, your business will grow and prosper. Keeping your employees happy, healthy, and productive should be at the forefront of your business goals. After all, your employees are your business's number one asset. 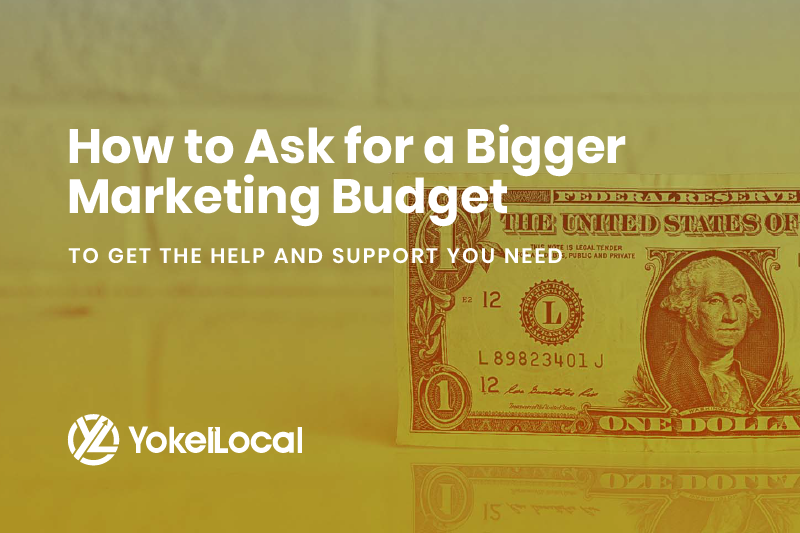 At Yokel Local, we understand that you are only as good as your team. 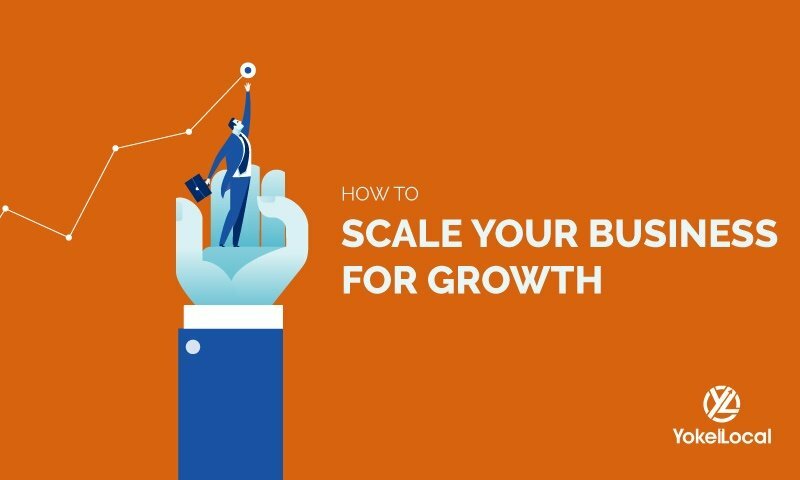 As you grow and scale your business, it's essential that you have the right people around you, whether they're in-house or outsourced, that align with your vision and business goals.